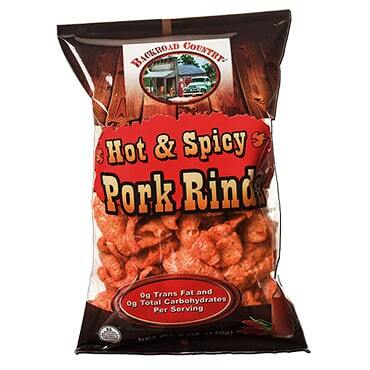 Our Hot & Spicy (2 bags) is OUT OF STOCK, but we have ordered more! You are still able to purchase it now and we will ship it to you as soon as it arrives. Questions? Please call 1-800-438-5346 or email us at info@Lehmans.com. Savory, tasty and made in our area! 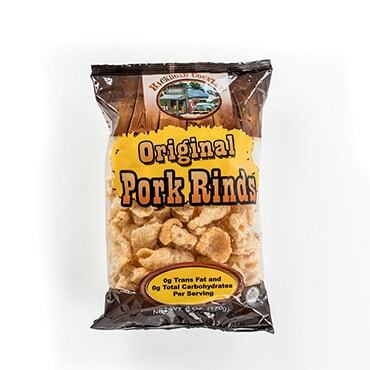 Our crowd-pleasing pork rinds are perfect for cookouts, picnics, parties, even camping. They're always ready to go, so there's no fuss on your part. 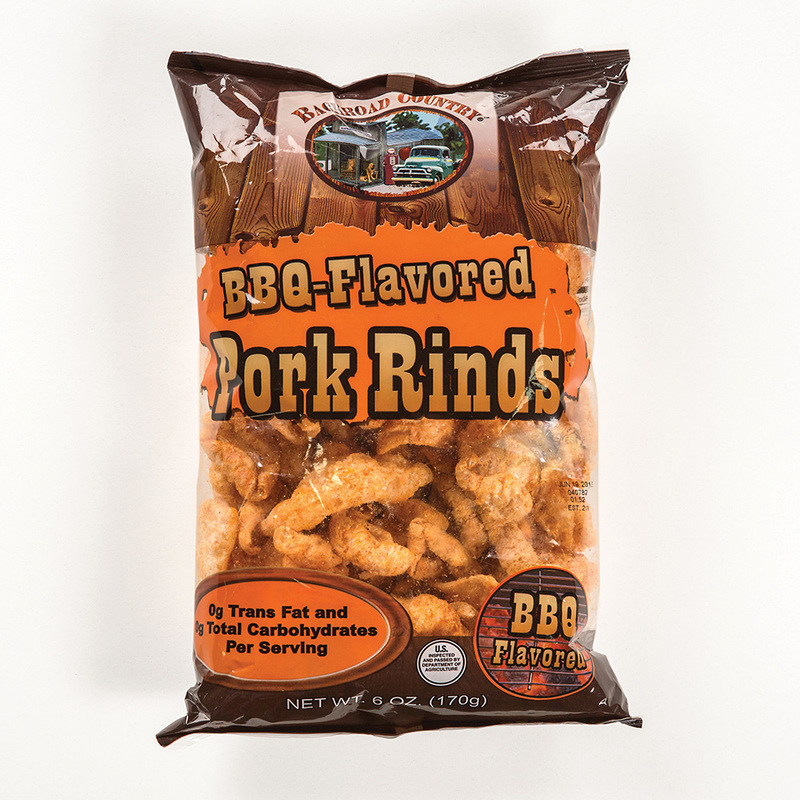 And they're great for snacking (no sharing required). BBQ Flavored Pork Rinds: Contains pork rinds, salt, torula yeast, parika, sugar, flavoring, modified food starch, monosodium glutamate. 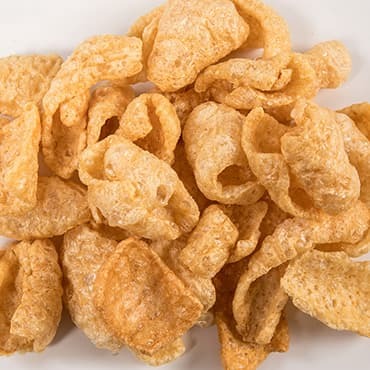 Original Pork Rinds: Contains pork rinds and salt. 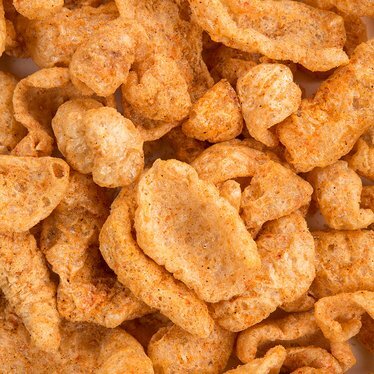 Hot & Spicy Pork Rinds: Contains pork rinds, salt, dextrose, spices including chili peppers, torula yeast, maltodextrin, paprika, monosodium glutamate, onion powder, garlic powder, extractives of paprika, yellow #6 lake, natural flavor, caramel color, red 40 lake. Not a significant source of dietary fiber, sugars, vitamin C, calcium and iron. * Percent Daily Values are based on a 2,000 calorie diet. Your daily values may be higher or lower depending on your calorie needs.